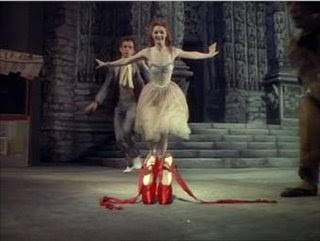 I am often asked why The Red Shoes, of all our films, became such a success in every country of the world. More than a success, it became a legend. Even today, I am constantly meeting men and women who claimed that it changed their lives...I think that the real reason why The Red Shoes was such a success, was that we had all been told for ten years to go out and die for freedom and democracy, for this and that, and now that the war was over, The Red Shoes told us to go out and die for art. Boris Lermontov: 'The Ballet of The Red Shoes' is from a story by Hans Andersen. 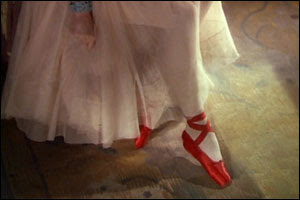 It is the story of a young girl who is devoured by an ambition to attend a dance in a pair of red shoes. She gets the shoes and goes to the Ball. For a time all goes well, and she is happy. But at the end of the evening she is tired and wants to go home. But the red shoes are not tired. The red shoes are never tired. They dance her out into the street, they dance her over the mountains and valleys, through fields and forests, through night and day. Time rushes by, love rushes by, life rushes by, but the red shoes dance on. Lermontov: Oh! In the end she dies. Melodrama! Kitsch! Ham! Entirely undistinguished choreography! There are movie reviews that you read and disagree with, but enjoy for their spirited argument and wit. There are reviews that you disagree with and do not enjoy, but which you acknowledge are well-argued or have a certain misguided insight. And then there are reviews that make you wonder why the critic bothered at all, so lacking is the piece in any affinity for the moviemakers, sense of history or ability to draw well-supported conclusions about the aims or accomplishments of the movie. Until today the Siren thought the 2008 Palme d'Or in such boneheadedness had been won by a certain ill-judged take on Sunrise. She was wrong. Alastair Macaulay, the dance critic for the New York Times, won it today with a "tribute" to the 60th anniversary of The Red Shoes. He starts by observing the initial British release wasn't a huge financial success and that "nobody could guess that it would become one of the highest-earning British movies of all time." So right off the bat we realize Macaulay's research has been, let's just say light. Director Michael Powell didn't guess, he knew he had made a great movie and was extremely frustrated at the failure of the British distributors to give it a chance to build in U.K. cinemas. He found an ally in Bill Heineman of the board of United Artists, who lobbied hard to give the picture a chance in the U.S.: "If the public see this film, they'll go. Their kids will take them to see it." Heineman was right; the film was booked into a 200-seat New York theatre called the Bijou and marketed to balletomanes, which as Powell drily noted meant "half the little girls in America." It ran for two years and seven weeks. This movie, filmed in a beautifully romantic style that was quite unlike anything seen before, and which influenced directors from Minnelli to Scorsese, to Macaulay "often looks as though it will turn into something much more conventional." It's about the "standard story of a woman's choice," you see, love or art. Standard, not classic or eternal, because isn't this life-versus-art thing something we've all worked out at this point? And the choice is "presented to the aspiring ballerina Victoria Page (Moira Shearer) at a melodramatically high pitch." This is the first occurence of the term melodrama used as a perjorative, but it will not be the last. Macaulay seems to think that the movie, with a central character based on two of history's most self-dramatizing impresarios and concerning itself with a theatrical art that conveys emotion through image, should really be toned down a bit. The best he can say for The Red Shoes is to point out a few scenes in which it "manages to transcend its own melodramatic and kitschy nature." "You look at the movie, and you marvel that these girls want to devote themselves to such an art." Because no one ever dreams of a consuming, lifelong devotion to a singularly beautiful and ephemeral art, especially not when it's lovingly filmed by the likes of Jack Cardiff. "...its 'Red Shoes' ballet could never be danced onstage. (Its dissolving scene changes are sheer cinema, and the ballerina role is too nonstop for any dancer’s stamina.)" Right here we have the part that pissed off the Siren to the point that she sat down at the keyboard. Gosh no, no real dancer could magically jump into those shoes as Shearer does. Excuse me, Mr. Macaulay, but who gives a good goddamn? This is cinema, not a filmed performance. Those "dissolving scene changes" are what a cinephile calls "perfect editing" (by Reginald Mills). Show me the great movie production number that could be danced on stage. "The ballet ceased to be a naturalist conception," said Powell in his memoirs, "and became completely surreal...we were photographing images, not words...There was one contributor to our work whose collaboration was absolutely essential for the success of 'The Ballet of the Red Shoes,' and that was the audience." Preferably an audience that doesn't get all grumpy when they realize "The Girl Hunt Ballet" in The Band Wagon couldn't fit on a real Broadway stage. "Wallbrook [sic] plays Lermontov not quite realistically; the story’s feverish melodrama comes from him, and he seems at once absurd and hypnotic." 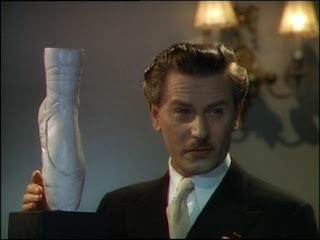 The Siren admits that even some lovers of The Red Shoes have had problems with Anton Walbrook's performance. They're wrong, however. Lermontov is generally seen as a stand-in for Sergei Diaghilev, but Powell said he was "really more like" film producer Alexander Korda, whose outsized manner the director wrote about at great length. Some personalities truly are much, much larger than life, larger even than a movie screen. Lermontov's job is to be imposing, a taskmaster who can fire up the artists under his control. In no sense is Walbrook overplaying, and here Powell agrees with the Siren, calling Walbrook "powerful" and "subtle...he goes underneath every line of dialogue, every emotion." "The film pays fetishistic attention to all of ballet’s detailed contrivance: the elaborate makeup, the constant audience-consciousness, the endless attention to minutiae of musical timing and technical articulation." The Siren loves ballet but admits to a lack of formal knowledge. Still, correct me if I am wrong, but should a dance critic really be characterizing "musical timing and technical articulation" as "minutiae"? And again with the perjorative adjectives: "fetishistic." The movie is about a commitment to art that drives an artist to her grave, and Powell's dedication to showing the incredible preparation that must go into a single performance is part of the movie's realism. I said realism and I meant it. The ultimate accomplishment of The Red Shoes is the way it combines the dream world of a ballet performance and the spiritual dedication to art, with the actual backbreaking work of the artist and the life sacrifices that ballet demands. Vicky's death scene is sneeringly described by Macaulay as "sheer Tosca" and "sheer Anna Karenina," as though either source is a hallmark of kitsch. Powell's memoirs, which Macaulay might greatly benefit from reading, remark on how the bloodiness of that scene struck the British critics as "bad taste." "The whole point of the scene," Powell countered, "was the conflict between romance and realism, between theatre and life." Indeed, that's the whole point of the movie. Postscript: Yes, the Siren is back, and the jet lag is hitting her hard this time. She has been up since 5 am this morning and so reacted rather badly to having The Red Shoes, which hit her like a thunderclap when she saw it on the big screen years back, dissed by the paper of record. I avidly read every comment on every post and ask my patient readers to forgive me for the lack of reciprocal comments on them. In Normandy I had no Internet access at all and in Paris time was short indeed. France was as wonderful as ever, however, despite the strange French habit of insisting "ça n'existe pas" when they can't find something (in this case, the Region 2 of Make Way for Tomorrow, which certainly does existe and which I bought.) I'll let Mr. Powell have the last word on France, where The Red Shoes was shot in part: "Everything that I had been missing over the bitter years came rushing back to me. I knew, as I have always known, that there is no culture like the French culture, taste like French taste, no ménage like a French ménage." Welcome home, Siren! We've missed you and were grateful for what you were able to give us. Worth a second look, post jet-lag, maybe? I will have to throw this one into the Netflix queue, sounds interesting. Maybe I'm not qualified to score this one, but I'm thinking this round goes to the Siren. Gerard, there is so much qualification in everything he says, it is definitely a mixed tribute. Charles, Scorsese considers this one of the two most beautiful Technicolor movies ever made (along with Renoir's The River). He owns his own print and I have it on good authority that he screened it for the crew while "Goodfellas" was being cut. You won't be disappointed. Gerard, your opinion matters very much to me and so I did go back and relook at the article, but I am afraid my reaction hasn't changed. "Melodrama! Kitsch! Ham!" used to describe the amazing climax of the movie does not a glowing tribute make, in my view. Where you saw "amused and affectionate nods" I saw condescension, indeed mockery of alleged old-fashionedness without looking at the very conscious way that The Red Shoes was constructed. Macaulay does have two very good descriptions of two scenes, the one where Vicky approaches the villa and the later where she "spots" Lermontov, but he undermines that with all the references to melodrama and kitsch. I will defer to his opinion on the choreography, as I'm no dance critic. But "Even so, The Red Shoes remains a classic" in itself suggests that the movie retains affection despite glaring flaws. Certainly Macaulay's entitled to see it as a flawed movie, but his comments have no real backing, just "look at all these silly overcharged goings-on." So to me the article is just a highfalutin', somewhat more laudatory version of the LA Times critic calling Sunrise "cornpone." We can agree to disagree, I hope? I admit freely that I adore this movie and feel quite protective of it. Aside--but even more significant, how is this for poignance? Man's Castle is on TCM tonight at 11:30 ... and my DVR seems to be having a diva fit and refusing to record. Ah Mr. Borzage, how truly elusive you are. First--welcome back, Siren! The paucity of comments during your absence is a tribute to how much your dialogue with us contributes to the whole Self-Styled Siren Experience. But I agree with Gerard--I read the piece as a loving salute to the film as well, a film which I love with all my heart. When Macaulay mentions Tosca and Anna Karenina, I heard not dismissiveness of kitsch, but allusions to other, equally classic scenes of sacrifice and self-destruction. If you allow me to say so, I have to agree with Gerard Jones. I was about to post something very much in the vein of what he said when I came here from Greencine Daily where I was surprised someone had singled out the "Melodrama! Kitsch! Ham! Entirely undistinguished coreography!" as if it were either the headline or the very message of the piece, whereas it seems to me that the author's op is quite a different take than that. I really don't know what to make of this distinction in interpretations, and mine may be the wrong one at that, but it seems to me that what's at task is not that Alastair Macaulay succeeded a wry tribute so much as that he failed a drenchedly passionate one and to do so is to slight the work in question and the significance of it's sixtieth. Which I can understand when you take into account that passion spills over the film so much as to demand it from the viewers, sure... but I also find it unfair to hold Mr. Macaulay's accountable for failing to do so. If not apprecciating what little insight he brings to the table, couldn't one be merciful and let him go? After all, The Red Shoes is forever. Welcome back, Campaspe. Now get some sleep! Movies will still be around when you wake up. Welcome, welcome, Siren! Missed your ready wit and steady eye. I had just read that article myself, and it sounded a bit spacey and somewhat incoherent, but overall it was just one man's somewhat uninformed take, albeit one with approval at the end, after all. It was more of a left-handed series of compliments, and less of a cogent analysis - he has some trouble getting to his point, which doesn't seem to be in line with the thrust of his reviewing. Kitsch? Hardly, but his view of Romance seems seriously compromised, more than wry, which may be an explanation. Shearer was an even better example of the finality of truly great art, again ballet, in "The Story of Three Loves", where her actions are somewhat more believable, and therefore more chilling. As far as lush life, "Black Narcissus" is actually my favorite technicolor film, but this is a very close close second - love those red-headed Brit gals. Thanks tons for botch-slapping that idiot Macaulay. Of all my favorite films The Red Shoes never ceases to amaze no matter how many times I've seen it -- which at last count was close to 100. Wallbrook's one of my faves, too - he never gave a weak performance, and was perfect in "Red Shoes". Loved his "La Ronde" drollery. I think about him every time I select the "Warsaw Concerto" from "Dangerous Moonlight" (one of the best movie titles ever!) on my CD player. ah, seems as though I have divided my commenters with this one. Two yeas, three nays, one "sort of" and one abstention (I see you Peter :D. Welcome, Benjamin, I hope you stop by again.). You're all very polite, even when you think I've flipped my beanie. I do think that if Mr. Macaulay wants to pay tribute to a great movie, calling it "kitsch" isn't the way to do it. (And K., he calls it kitsch right after the Tosca/AK bit.) Vanwall, you may have hit the nail on the head; it isn't a very coherent or well-thought-out piece and thus what struck me as the thrust of the article (the movie's fun but oh-so-melodramatic) struck Benjamin, Karen and Gerard as a lighthearted aside. Because I take old movies, especially romantic ones like this, quite seriously I bristle at anything I see as patronizing a great one. You guys may think I was hard on Macaulay, but I still say I devoutly do not want him analyzing Sirk or Ophuls anytime soon. David, I am glad you and Vanwall share my Walbrook admiration, and thanks for the link. I loved re-watching the fabulous Elaine as well in the clip you posted under Bad & Beautiful. That shadow that moves across the staircase ... I had forgotten that touch from Minnelli, god it's perfect. Powell sings his praises in his two-volume autobiography. Walbrook's "J'adore le passe" is one of the greatest line readings in all of cinema. And he's splendid in Dickson's Gaslight -- not to mention Lola Montes. Speaking OT, the copy of Man's Castle shown last night isn't exactly garnering raves from the print quality crowd. Most say it's no better than their bootleg copies. I admit it didn't look like a great print. I suspect that Sony didn't bother to do any serious cleanup for such a "minor film". I notice that on some of the Columbia films TCM has shown. Whatever. I have a copy now, and it was worth every second. Again, OT, "Man's Castle" was delicious, with a crackerjack script, and wonderful sets. Back to the dissection table. "Entirely undistinguished choreography!" This my biggest WTF? moment in this review. As expressions of classical ballet, on a stodgy scale, yeah, I guess so, but Massine and Helpmann weren't conventional thinkers here - they were using the medium for its maximum potential, something revolutionary in dance on a Studio film, I believe. So what if it couldn't have been performed on stage as choreographed, it was never intended to be - it was aimed straight out of the screen at your heart, not your head. Perhaps he preferred say, a "Child Catcher" moment, ;-) it would've been more simplistic, and easier to understand....for some. The salient point about this film, which he missed BTW, is that Shearer, Goring, all the ballet dancers, the scoring and choreography, all of these aside - each was replaceable if needed, (altho I would've missed Shearer's lovely, red-haired exuberance and Massine's solid, natural support playing): the only indispensable one was Wallbrook. No one else could've been Boris Lermontov - he simply inhabited the role, became it onscreen like nobody else would've. He sold the romance, he sold the elegance, and above all, he sold the implied drug of great dance, without a single, simple dance step - he did it all with nothing but his skill and ability as an actor. Shearer may have been the picture-book Degas painting, but Wallbrook was the dark, deep undercurrent of mania, almost madness, of making some kind of great art, under the tight control of an iron will to succeed on one's own terms. Shearer's Vicky paid the price of getting too close to that kind of abyss - and Wallbrook created that love-hate romance with a powerful Svengali-like figure, the kind that fascinates and repels at the same time. I wouldn't be surprised if this kind of attraction didn't bring as many aspiring ballet dancers into the art as any of Shearer's lovely leaps. and if I'm honest, than my post too. Thanks, Siren, altho my astigmatism would disagree with you: too many spelling and syntax errors - that's what I get for scribbling in a hurry and off the top of my head! There are well-written blogs, and blogs written well, and you've a huge helping of both. I'll have to get back to adding to my own rambling one soon, I've been neglecting it badly due to outside factors, but I don't think it'll ever be as fascinating as here. I'll be honest, when I was a lad, I wished I could be as suave as Anton Walbrook, an impossible dream, to be sure. An underrated genius by most, but never by me. I have absolutely no knowledge or appreciation of ballet, but "The Red Shoes" is one of my favorite films. Recently, I happened upon it already in progress on TCM just as the Red Shoes ballet sequence was beginning. It was the middle of the afternoon and I had stuff to do, but I allowed myself to sit and watch just the ballet segment. Whenever I watch "The Red Shoes" in its entirety I am always blown away by it, but this time I found myself getting all choked up just from watching the Red Shoes ballet on its own. I never knew this about myself but it turns out I'm a fan of "mediocre choreography." I do so hate coming in late to these things. Everything has been said that needs to be said. Oh well, I'll just reiterate then. First, I'm with you on this one. Second, I believe the "Even so, The Red Shoes remains a classic" qualifier is the smoking gun. It provides evidence that he does not (seemingly) understand the art of cinema as opposed to the art of the stage. It would be as if he reviewed Citizen Kane and criticized the breakfast table scene as too melodramatic and over the top rather than seeing it for its brilliant cinematic efficiency in portraying a crumbling marriage. And then after criticizing this scene write, "Even so, it remains a classic." No! Not "even so" - because of! The very things he criticizes are the very cinematic delights that make The Red Shoes a classic. It is not despite them. Frank, to indulge in a bit of chat-speak, LOL. Macaulay is a dance critic so I didn't feel qualified to challenge him on that one, but I too like mediocre choreography it seems. It does seem to me that Helpmann was choreographing for the camera as opposed to the stage, which Macaulay sort of says too. The ballet works beautifully for me and doesn't slow the movie at all, considering it is 20 minutes. It encapsulates every theme perfectly, which must be why Kelly studied the movie over and over for the final American in Paris number. Jonathan, thanks very much for seeing it my way and stating the case so well. I think that with a better-tuned inner clock post-Paris I might have written my case more persuasively, but of course Gerard, Karen and Benjamin put things very well too. As always the give-and-take is a pleasure. MNDean I am kicking myself over the Man's Castle debacle but right now I am in deep doo-doo, to quote a former president, as Kay Francis night is around the corner and NEITHER OF MY DVD PLAYERS WORK. If anyone wants to recommend a STURDY (that is, somewhat toddler-proof) DVR player and/or region free I am all ears as Wed. is shopping day. I'm really in a bad way. Here I am, having harrassed several FNAC clerks in bad French, spent too much money and purchased no fewer than four of Glenn Kenny's foreign-region picks and I can't play a single one. I love the FNAC - it's like Powell's on steroids, with stuff you think you can only imagine, until you see it on their shelves. Their bande dessinée section is a marvel, like Comic-Con without the sweaty mouth-breathers pushing from all sides. My French is execrable, tho, so I'm glad they took pity on this poor Yank, and were quite helpful. My FNAC guy was extremely courteous, somewhat taken aback by an American with such esoteric tastes. He even let me exchange something later without a receipt which in France is usually about as possible as lighting up in the airplane lavatory. But because I had failed to write down the French title of Make Way for Tomorrow he insisted "ca n'existe pas." This didn't irritate me, it just amused me, because I've encountered the same reaction from pharmacy clerks and makeup clerks and I don't-know-who-all when something isn't immediately to hand. Also, anyone who says "it couldn't be danced on stage" has never seen a movie musical. Ever. I don't believe I have ever seen a dance sequence that could be done on stage, unless that stage is an airplane hanger with no audience and a team of magic people. OMG, David, you can barge on with news like any time! Free Duvivier, everybodyg! Free Duvivier! I love Duvivier and keep trying to track down more. You will hear from me. And thanks for the good news about Pavlova. Powell's later career didn't play out as it should have. Criticlasm, I thought the same. The solos and duets could be done on stage, by dancers who never get tired I suppose, but that line was sheer irrelevance. Powell, Shearer, Walbrook, Goring, and even Tcherina (who matured stunningly in another dance film, "The Lovers of Teruel" which is too little known these days), how could you go wrong? "The Red Shoes" is over the top but it is meant to be over the top. It is a fantasy and everything Powell did on film has some of that feeling (with the possible exception of "A Canterbury Tale"). It's a classic for very good reasons no matter what some critic somewhere says. My favorite Walbrook moment is in "The Life and Death of Colonel Blimp" where he explains to his old friend just how "unsporting" the Nazis are. This is an impassioned and pertinent bit of business which remains relevant, especially in George W. Bush's terrorized America. What I wonder at in dance films is that the backstage drama always mirrors the ballet. "The Red Shoes" is only one example. "The Lovers of Teruel" is another and all of Carlos Saura's dance films hold to this formula for good and ill. It may be that dance, which demands more from the human body than any other art, requires life to imitate it because it is so all-consuming. Perhaps, but this doubling of art and life seems to be endemic to the portrayal of dance on (fictional) film. PS: Another good Walbrook film, "The Queen of Spades." I just got Queen of Spades in the mail this week. It's only available as a two-fer with Dead of Night which is fine by me, I like Dead of Night, but what I really want to see is Queen of Spades. Besides, it was still pretty cheap, considering it's two movies. I can hardly wait to see it. I love Anton Walbrook's acting. He's a dance critic? One woulsd think that a dance critic wouldrevel in The Red Shoes for its hisotirc impact alone! here was a film a clef the Ballet Ruuse, complete with its own rendion of the Diaghilev Nijinsky l'amour fou, plus Leonine Mssine, Robert Helpmann and Ludmilla Tcherina -- all acting magnificently. What makes th film so compelling is the contrast between the genuine warmth of the ballet company "family " -- all cheering one another on and working for the betterment of th art -- and the figid genius of Lermontov. Clearly "something" happened to him back in the day to make him disparage love and "human nature' -- which he claims he can "ignore." But of ourse he can't. The mystery is what Lermontov really wants. He can indeed love Vicky -- as something he's created. But he knows perfecyl well that being human she'll try to break away. Craster is an utterly conventional man at heat Yes he's an artist, but he expects HER to give her art and worhip him. Lermontov already has her worship -- which both inspires and stifles her. I do have a dance background, and I think I can provide some insight into Macaulay's review, at least as far as what a dance maven would focus upon. He is trained to notice the minutiae of dance, and he does that brilliantly. Putting the "spotting" scene into its proper context with regard to the plot, he notices something more film fans would not. He also knows that dancers actually do make a fetish of their art; it's absolutely true. Every 1/8 of an inch more of turnout is catalogued by the dancer as progress; small curves of the arm are tapped and corrected; every shape is studied in mirror upon mirror, every day, six hours or more a day. In the most elite schools, it's even worse. Or perhaps better. Ballet is extremely difficult, and it's a young person's art. After 24, the muscles and lilmbs start fighting all the tortuous ways they've been pushed and pulled. I'd almost say Vicky was a personification of her body, what she did to it to achieve greatness. In the end, the body dies, as did Vicky. The choreography has some inspired moments - indeed, I can't imagine prima ballerina Shearer dancing in anything mundane. For me, the Ballet of the Red Shoes has the expressiveness that I look for, whereas the other pieces she dances (I suspect they used the established choreography for such famous pieces as Le Corsaire) are very old school and, in that respect, not terribly adventurous. I think these aspects of the film perhaps colored Macauley's piece. He doesn't really understand film, so he talks about what he knows - dance. His reading on that count is completely accurate. BTW, I have always thought of Lermontov as Balanchine, not Diaghilev, because of his penchant for ballerinas. Marilyn, thanks very much for the great comment. As it happens I did notice the "spotting" scene as a viewer, probably because I took dance classes as a kid. But his explication of that, and the villa scene (although he spoiled his take on the villa just one graf later with the aside about "transcending its melodramatic and kitschy nature) were the two parts of the article really worth reading. To clarify--I wasn't quarreling with his mentioning the phenomenal detail that goes into classical dance, I meant that "fetishistic," which was applied to the way Powell was looking at the dancers, was a perjorative term, suggesting a perversion. Although, perhaps he meant it in the religious sense. But I doubt it. So you think Macaulay was referring more to the other dance pieces, and not to the Red Shoes Ballet itself? I can see the point, definitely. I quite like a lot of old school choreography but considering the other things happening in ballet at the time I can see why an expert would consider the other snippets mediocre. I do think the Red Shoes ballet works marvelously, though. As you point out, its cinematic qualities don't seem to have much impressed Macaulay. Balanchine-ha! Powell was quite definite that Lermontov was supposed to be like Alexander Korda (with his penchant for actresses) but really you can see all kinds of great, driven theatrical taskmasters in the character, all praise to the filmmakers and Walbrook for that. And Lermontov's interest seems to be subliminated sexuality, he 'couples' with the ballerinas by watching them dance. Yes, Siren, he does use the word "fetish" in several senses, included perjorative ones. Whatever Powell says about Korda, portraying the egomaniac as a dance impresario invites, quite properly, comparisons with the two great dance puppeteers of the 20th century. To be honest, I have looked at this film as placing a woman in a position of choosing that a man would not have been. However, my blog partner Rod delineated your argument about giving one's life for art so persuasively that I have come to see it in a different light altogether. Nonetheless, such was the dependency Lermantov created in Vicky that she couldn't dance without him. That's the story of Red Shoes ballet in a nutshell. There' a tocuh of Ballanchine. But Ballanchine like women in ways that Lermontov doesn't. His impressario aspect is indeed Korda-like. But above all he's Diaghelev, who as well all know was gay. And so was Walbrook. Ah, Marilyn now you have brought up another interesting comparison that Macaulay did raise, with Suzanne Farrell. (I loved the documentary about her that went into the choices she had to make as a woman.) To me, the least sympathetic figure in the movie is most definitely not Lermontov, but rather Craster. How cruel is the choice he presents Vicky with, and it's a choice most men never consider making, save perhaps Andrea del Sarto: leave your art, or lose love. I think that both you AND Rod are right. I don't know what it means that when I first saw the movie, and even now as a movie of three, though the ending is as inevitable as Greek drama, I am always thinking "you FOOL choose ballet!" My girlfriends always have the same reaction. Art is more reliable than the love of a man, perhaps. David, Balanchine loved women but even ballet dilettantes like me have read of how hard he was on his ballerinas, about their weight, about their practice time, having conniptions if they got married or got pregnant. Allegra Kent provides another interesting example. Yes, I saw that doc on Farrell and worship every minute of it. The snippet of her dancing "Don Q" is like a divinely demonic possession. Because this is a fable, there have to be forces pulling Vicky apart. I love the dance, but in this case, I would have chosen love (as Farrell did). As I said, a ballet dancer's career is short, but a good marriage lasts a lifetime. Craster saw that and tried to wean Vicky from Lermontov's control; what he did, he did out of love, out of a desire to free her not from her art, but from her Svengali. Hmmm. Many, many fine things being said by both the Macaulay-Bad and Macaulay-Good camps. But I do have to quibble with the idea that "fetishistic" is a pejorative in this sort of arty New York essay. "Fetishistic" has become one of the most widely used and least specific words in critics' vocabularies over the past few decades, and although it descends from the psychoanalytic use of the word, it's really lost all of its DSM-IV meaning as perversion or dysfunction. I speak from experience. I used to use it a lot myself, until one interviewer finally asked me, "What exactly do you mean by 'fetishistic'?" and after floundering for a minute I had to admit, "Well, actually, that's not the right word." It's become almost a place-holder for a variety of things, with a meaning something like, "an intense and self-conscious focus on a person or object that may have something psychologically interesting and even slightly titillating about it if I had time to think about it." So I'd agree that Macaulay was being lazy and even superficial with "fetishistic," I wouldn't take it as an insult or an attempt at diagnosis. Goring is also in A Matter of Life and Death (aka. Stairway to Heaven) where he has one of the best lines ever. And he's in The Barefoot Contessa as well. Craster is selfish, and for all his devotion to his art quite conventional otherwise. When Lermotov spits out "Be a house-wife!!" he's quite correct. That would be her fate with Craster. But Lermontov cannot love her -- so her only choice is Death. This is not true. Craster never stops Vicky from dancing with anyone but Lermontov. It is Vicky's attachment to him, belief that he is the true keeper of the flame of her talent, that she can't shake. Gerard, great point about the word choice and I suspect you are entirely right. Rather than encompassing the perverted and religious meanings it doesn't have much meaning at all. As a blogger trying to write fast I often find myself doing the same. I have to side with David's point about Craster. It doesn't mean much to say that he wants Vicky not to dance with Lermontov, since Lermontov is portrayed unambiguously as her shot at greatness. Julian is offering her domesticity with dancing on the side to keep the little woman happy. Within the context of the fable, you might be right, but in reality, if Vicky can't become a great dancer without Lermontov, then she's not really a great dancer. Wellyou see that's the conundrum. IS Vicky a great dancer -- or just a creature Lermontov has created? Obviously he saw something in her that's hers alone. Obviously he molded her to become a creature o his particular devise. But he can't truly have her and she can't go on without him. And they're not even in love! THAT'S what makes this masterpeice so compelling. It isn't entirely a Svengali-type relationship, but I think it's more that Lermontov is the pinnacle of the ballet world in The Red Shoes. Is a great dancer as wondrous if she is dancing for lesser choreographers at lesser companies? (And here I think also of Gelsey Kirkland.) That is a real question, not rhetorical. My answer would be she's still great, but her art suffers without access to the best, and in the world of the movie the art of ballet is all. So it isn't just the drive to dance, it is also to dance with and as the best. I'll be eager to hear what both David and Marilyn think. Thanks for making this thread so much more than my original bilious rant, btw. I agree with David and the Siren as well: Craster is the real monster here, as he is supposed to love Vicky, yet still asks unreasonable sacrifices from her. Whether she can be a great dancer without Lermontov isn't really the point; SHE believes she can't, and he is still asking her to give that up. He is not secure enough, and frankly, I think he knows she wouldn't dance with another company anyway, so effectively he is asking her to stop doign what she loves, to give up her career, and be a housewife. I've always pretty much hated him for that. Possibly because I am an out-and-proud elitist, I have never faulted those who believe that being the best at something is worth incredible sacrifice, especially if you have the gifts and the opportunities to get there. I had a grad school adviser who was a bit like Lermontov: a brilliant woman, a great scholar, and a pretty nasty human being. She believed that academia was a "high, lonely calling," and that I had not heard the call. I was unhappy enough not to want to take the time to prove her wrong, and now I am an auxiliary to academia in the only town I ever wanted to live in, instead of a second-rate professor teaching 4/4 in the middle of nowhere. If, however, I had dreamed all my life of being an academic, and had spent years rigorously training my body and mind to be an academic--in, in other words, I had a calling--then I would probably have stuck it out, as many of my equally-traumatized fellow students did. Vicky and Craster love each other, but Vicky and Lermontov NEED each other to become who they want to be, and that is a powerful, powerful thing. I've always thought she made the right decision in the end--sob though I might through it all. I have never thought that brutality was a necessary part of the pursuit of excellence. I've watched dancers slapped, berated, humiliated, and allowed to work in overheated studios until they were close to fainting. This was at one of the elite dance schools at which I studied, connected with a very well-known and popular dance company. I also studied at studios that held master classes regularly. I looked at the contrast between the company members of Studio "Dread" and the master instructors who gave of themselves to us. The latter were exacting, but helpful, and above all, respectful of our minds and bodies. No hitting, slapping, or berating. Lemontov may have run the best ballet company in the world, but to assume that there are no more elite companies that could be very close to the best (like arguing whether The New York City Ballet is better than the Bolshoi) or better Lermontov is ridiculous. Again, this is a fable, so we have to assume Vicky has no other choices - or at least, that she thinks she can only be the very best under Lermontov. I try to keep that in mind, but it's hard to turn your brain off completely. Lermontov also forced a choice on Vicky - to drop her romance or drop her association with him. The emotional blackmail proffered by both the men in her life was cruel and, to my mind, unnecessary. Her final act seemed to be, in a way, a big "up yours" to both of them. She set herself free, like Thelma & Louise, by annihilating the thing they both loved and wanted to possess. Hold the phone. Slapped? SLAPPED? I'm speechless. I have known dancers over the years and the stories I usually heard were of nasty comments, frequently about weight, as well as what they ate. Or, rather, didn't eat. One who dropped out of a very rigorous program told me "I just wanted to be human again." On the other hand I have a dear friend who spent a brief stint in the Bolshoi corps as a teenager, during the Soviet era, and her memories are quite happy. She still loves ballet. My interest is amateur but I do love it, to me there is nothing quite as beautiful as classical dance or the body of a ballet dancer. So despite my understanding that Lermontov is no romp around the orchestra pit I still find his demands more compelling. Clearly how one reacts has a lot to do with how much one romanticizes ballet, in my case quite a lot. But I love your interpretation of Vicky's final act. In Powell's book he says Shearer asked him how she should make that final leap--like a regular woman, or a ballerina? He said ballerina and she did it perfectly. Just watching her sail through the window supports your view that it's a way finally to exercise her will. And her dying words, too: "Julian, take off the red shoes." No more conflict, she's free. Karen, I think that one reason The Red Shoes resonates with so many people who never got near a ballet studio is that so many of us face that choice of whether or not to pursue an excellence that might ultimately leech too much from our personal lives. And it does go back a bit to what I see as the film's realism, the frankness about how hard that is. Dance is still a passion for me, though I'm well past being able to practice it. There is something special about it over all the arts, something pure that can't be tricked up or faked. The discipline of training is probably the most satisfying I've had, as frustrating as it can be. Yes, I romanticize it, too, but also know what goes into that effortlessness on stage. Somehow, it makes me appreciate all the more. Campespe, thank you so much for the mention in Cineaste. I was so excited and honored to be mentioned in the company of all those great bloggers by one of the great bloggers herself. You are most welcome, and thanks for the compliments, too. I was pleased to see so many mention Girish who is one of the nicest guys you will ever meet, in addition to being a fine critical mind. I hope that issue of Cineaste goes online. I went to the one place in Denver that I was sure would have it, as they have in the past. No luck. Their selection of film magazines seems to have shrunk in the past few years. As for a toddler proof DVD player, I don't think there is such a thing. Better also get some long wiring and a high shelf. By the way, xploited cinema still seems to be in business, so if you haven't got it get, you can get a Borzage fix with The Spanish Main. I almost considered buying a copy but I bought one pirate movie, Anne of the Indies, and impulsively decided to get Fritz Lang's Western Union, a purchase that given my track record, is sure to guarantee a Region 1 release. A couple of things to ponder regarding the time in which "The Red Shoes" was released: just take the USA - the ballet/modern dance movement was certainly alive and well - Denishawn and a host of newer interpreters had been touring onstage for years, and ballet companies as well, but on a much smaller scale than now, and certainly wouldn't have reached so large an audience. And I think it was a worldwide phenomenon that this film influenced so many - Sadlers' Wells wasn't the Royal Ballet yet, and this film prolly had something to do with the Royal recognition. Indeed, this movie essentially created its own never-ending generational audience, a neat trick. Who knows what might've happened if it hadn't, would we still have a much more limited number of young people interested in ballet, like before its release? I don't see any other film or dance event that could've been as accessible and inspiring to so many. I'm a believer in the primitive aspect of all relationships, myself - no matter how complex it looks, it's really a basic instinct of one kind or another gussied up. The allure of sacrificing one's own life to another for direction is as old as time, and the ecstasy of receiving approval for success can be as powerful as a physical relationship, for both parties, which obviously Vicky and Lermontov shared at the former or the latter level - this wasn't a time in society that allowed clear solutions as to what really was going on in most films, and certainly it would've been a distraction for this one. One thing for sure, as in some unusual relationships, Vicky, not Lermontov, had the real control, just no safe word. The physicality of dance is sometimes as much an aphrodisiac as it is anything else - not just for the dancers, either, and if some mental or physical pain goes past as part of the rigor, it's accepted by most all involved as part of the process, and as Marilyn has noted, even to excess - that hints at darker things than I care to know, and that kind of unspoken depth of commitment was used well in this film. The other side of the one-eyed jack here, Craster, is also a primitive need on display: the territorial imperative, the possessive, even in one so seemingly in love...but with conditions, conditions Vicky couldn't fully accept without cutting off the freedom of her performances for Lermontov, and I do mean for - she needed his approval as much as he needed her dancing, and it must've been like a drug for both - so Craster was always going to have his heart broken and his hopes smashed as long as she danced. I always got the impression Craster needed her to stop dancing to save himself, so even tho asking her to do so was selfish, she made a split-second choice to save him, although not in the manner he wished: his control over her future was part of his love for Vicky, and killing herself was actually her only free decision - going on with Lermontov meant never being free, either, and so Vicky showed she really loved Craster after all, but on her own fatal terms. That's why I really can't find any sympathy for Craster, only for Lermontov - his connection with Vicky was much deeper than Craster's, who was saved, so Lermontov really lost the one he needed most, the poor sap. Shearer's characters should've stayed away from dance, anyway, they croaked at the end every time. Vanwall, it is true! Story of Three Loves has almost the same story, slightly gussied up. 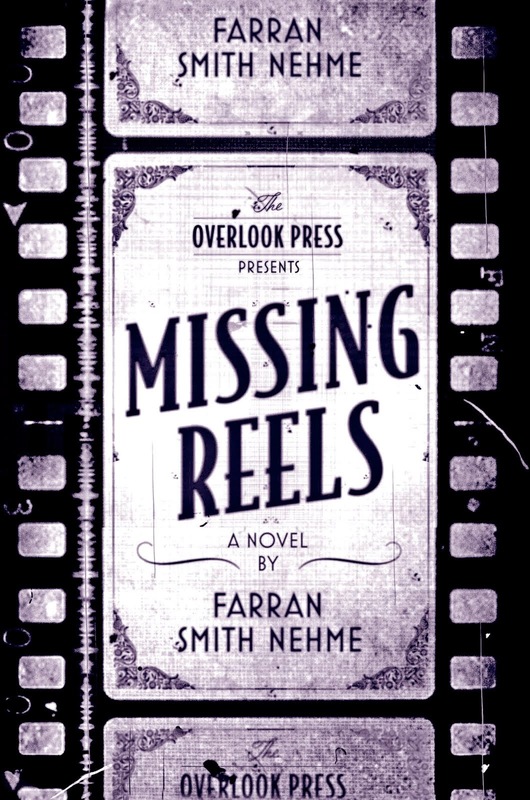 And there's Peeping Tom and Tales of Hoffman. Dear Moira (with whom I share a birthday and red hair, so I feel an irrational bond) died more than Shelly Winters it seems. Peter, that's what I thought but it was worth asking. If I were a genius I would offer a full line of toddler-proof electronics, including phones and stereos. Would sell like hotcakes. Campespe you're quite right. What makes The Red Shoes so compellign is that it shows us a very special, very unique and very exclusive world and finds universal resonance in it. What would any of us do if we had a chane at ultimate success -- a success that would upend everything else in out lives and bind it to us forever? Think too of Lemontov retreating to the darkness of his office after the great "He has no heart -- that man." Then contrast it with his total abjection at the close when he announces "Miss Page will not dance The Red Shoes tonight!" One cannot but feel for him. But what does HE feel? Yes he suffers, but what else? "Rosebud" was the sled, but the mystery of Boris Lermontov will never be solved. Oh and By the way, the death leap was the FIRST thing Moira Shearer did on the film. Very wise of Powell. Get the devestating finale over with right away, plus it lurks in Shearer's mind throughout the rest of the shoot. Oh, vanwall, that is just beautiful. Here's a little tidbit of reality, and charming, too: during the Christmas holidays last year, we went to see "The Nutcracker" performed by a local ballet company, (which prolly partly owed its existence to "The Red Shoes" enduring power) - we hadn't been to a ballet in some years. As an aside, I'd forgotten the sounds made by the dancer's shoes - my wife thought that always added to the immediacy of the experience when she watched as a little girl in France. We were seated about three rows from the balcony railing, and the front row was made up almost entirely of little girls, brought by their mothers as a group experience, it seemed. The mothers were all fluttering at the edges, watching the girls and the ballet at the same time, and the girls were chattering and giggling at a low level, paying attention only half the time for most of the first act. I don't think the domestic and battle scenes interested them much. Then the moment came when the experience became real for them, not like watching a movie at the multiplex; they were really in the theater and this was happening NOW - the Dance of the Snowflakes. I've seen various versions choreographed in large and small manners, and this one had a beautiful pair of rows of dancers first entering obliquely from the wings. All the little girls leaned forward, a bit wide-eyed, I think, and at some magical, mutually undecided, but wonderfully identical moment, they all sucked in their breath in a collective, sighing, "ohhhhh" in little voices. They payed attention for the rest of the performance. This remains one the most beautifully revealing moments I'll prolly ever experience, and ballet will never be the same for me or for them, I expect. (Macaulay) is a writer for the ages, the ages of six to nine. Camorrista, good to see you again! Vanwall, what a lovely story. For some reason it reminds me of last month, when I was trying to entertain the twins and decided to Youtube some Shirley Temple. So I went straightaway to the famous dance on the staircase with Bill Robinson in The Littlest Rebel. They both sucked in their cheeks and watched without a single word, enthralled. And at the end my little girl just looked at me and "More of her. Can I see more of her?"